Edmonton Warehouse Forklift Training Programs - Warehouses can either be industrial, commercial or retail facilities, functioning from product distribution services to bulk product retailing. Regardless of the type of warehouse, employees inside warehouse settings should be trained properly in safety procedures related to material storage and handling, conveyor systems, loading docks, and pallet jacks and forklifts. Good housekeeping is vital to an orderly and safe warehouse setting. Truck and loading dock systems are usually situated at a height from the ground. Products enter and exit warehouses through these systems where personnel unload and load supplies from ramps and elevated docks. Particular attention should be paid to safety habits throughout this stage. To avoid falls, install yellow striping along the edge of docks and ramps. Pay attention to the area all-around delivery trucks that are parked at the loading dock, specifically the part between truck and dock. Be sure that truck wheels are chocked when unloading. To be able to distribute products inside the facility, some warehouses make use of a conveyor system. These systems are made with moving wheels and belts which may pose a pinch point danger. Keep parts of the body and hair far away from conveyors to avoid injury. Elevated conveyors pose a hazard to staff underneath if safety nets are absent. Employees ought to know how to stop conveyors in case of emergency. Be aware of the location of off switches and emergency stop buttons. When servicing conveyors, lock out/tag out procedures are mandatory. To make it easier to move supplies, pallet jacks and forklifts are most usually utilized. 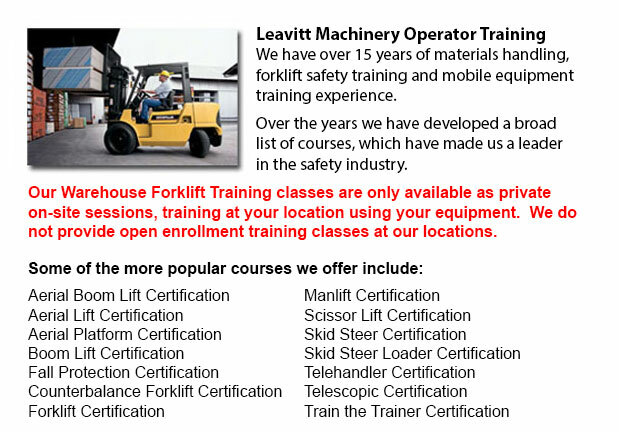 The lift truck operator will need training and certification. Pallet jack operators do not need certification, but should be trained about the machine. Training courses instruct operators in the correct methods for lifting materials and moving them to their assigned location. Neither forklifts nor pallet jacks must ever be made use of to lift or transport employees. Rack system and storage shelving help to create an orderly and efficient work area if they are braced, sturdy, and allow enough room for individuals and machinery to pass. Slow and careful placement of good is needed to prevent accidents caused by products falling off the facing aisle. Aisles must be kept clear by storing products flat and in the shelving units. Pallets are utilized for stacking products. They should be in good condition, and palleted products should be baled or shrink-wrapped, whenever possible. Personal protective equipment (or also known as PPE) should be worn, as appropriate, to protect employees' limbs, heads, hands and feet. Hard hats or bump caps, gloves and steel-toed shoes are common PPE. Slippery floors pocked with pits and dents present a danger. Good housekeeping practices include keeping warehouse floors and docks clear of dirt, debris and oil. The space should be kept clear of boxes, baling supplies and garbage.